Visionnaire online shop - Chromed brass wall lamp, oval lampshade of conical truncated cone in silk, h 104 cm. 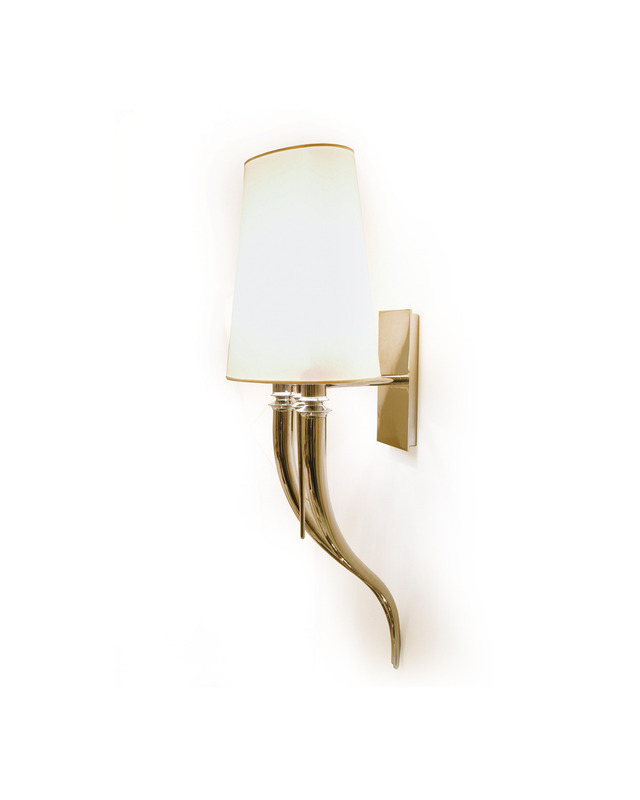 BRUNILDE MEDIUM - Wall lamp. Dimensions 30x25 h 104 cm. 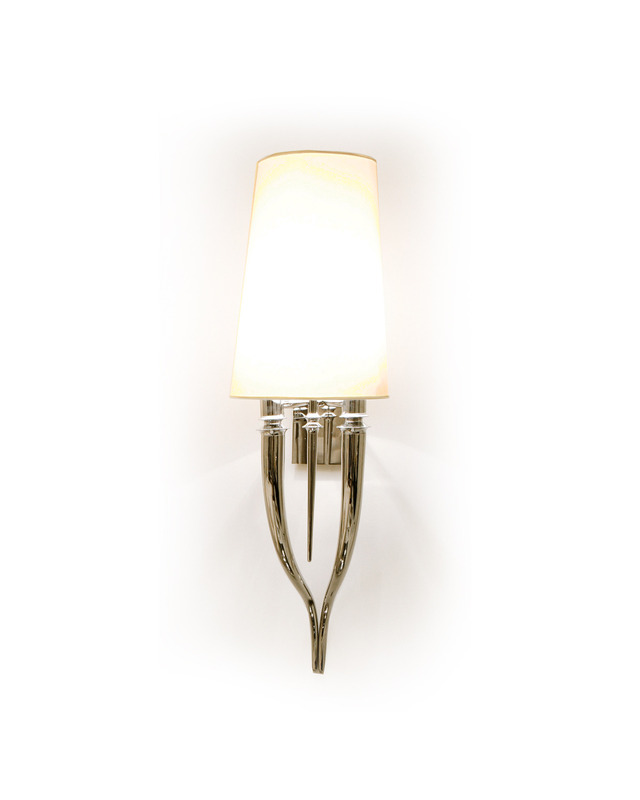 Designed by Alessandro La Spada, Samuele Mazza Chromed brass wall lamp, with with lathed aluminium details. Back steel plate for fixing to the wall. 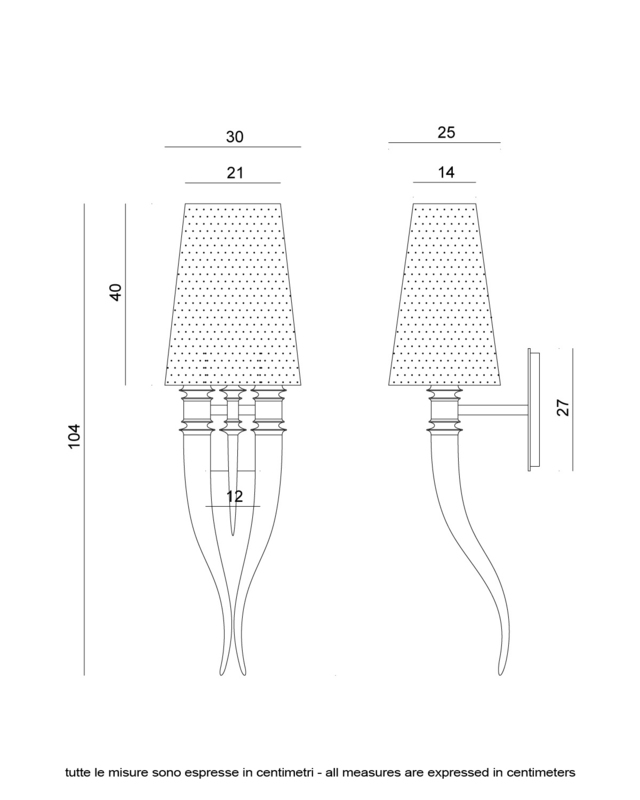 Silk oval lampshade. Requiers 2 E27 light bulbs with 75 W each each. Weight 6,90 Kg.